What are the advantages of the use of the CryoProbe over canisters filled with a cryogen? The CryoProbe is grounded on a breakthrough micro-technology conception which let the physician be very accurate and efficient in his treatment as a result of the 0,04 micro-applicator as well the 725 psi freezing power with a congruous-127 degrees F temperature. The cure can be performed with the usage of one applicator, no various cone seizes, non-reused buds, extender tubes or insulators demanded. The micro- applicator let the physician to cure any seize and form of lesion with petty strictness. The usage of small non-reused Nitrous Oxide cartridges presents the physician the freezing power demanded to thread the lesion sudden and effcient in a metter achieve the caudal extent of the lesion. The CryoProbe creates the treatment an easy and accurate procedure, no damage of healthy sample and present the physician complete control of the cure. The wastes per cure with the CryoProbe is more cost effcient as the prices per freeze of canisters. What are the advantages of the use of the CryoProbe over Liquid Nitrogen? The CryoProbe is little, walk-around, compact tool which can easily be transfigured to nursing homes, hospitals, office to office or room-to room. The non-reused 0.3 oz cartridges make it secure, there is no anxiety of spilling the cryogen while en route. The capability to cure with a 725 psi freezing power at a perminant temperature of -127 degrees F is more efficient as implying extreme cold to the lesion. The usage of a micro-applicator with a 0.04 millimeter opening makes the unit extremely fit for cure of smaller lesions, eg facial lesions, without ‘facing’ a spray gun or in Liquid Nitrogen drenched cotton swabs. There is no usage of requiring a range of cryogenic tips in a matter to cure various sizes of lesions; the micro-applicator of the CryoProbe can cure any size and form of lesion with no damage of healthy sample. 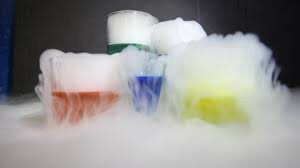 The usage of liquid nitrogen is quite a hassle with a keeping dewar, a derivation toll, a demand for a aired room as liquid nitrogen volatilizes, extreme care with filling due the high freezing temperature. The usage of liquid nitrogen can be less cost efficient when not utilized in cure of skin lesion in a high volume as it volatilizes when not utilized. How many lesions can be treated with one cartridge? The cartridges have a two minutes cure time utilizing the very fine applicator. It will be dependent on the kind of lesion(s) a patient has but the physician may well utilize the cartridge on multifold patients. The nitrous oxide will not volatilize in the device once the cartridge is rived. The cartridges have an unlimited shelf time when stored properly, cool and dry. The cartridges may not be exposed to the sun and temperatures above 120 degrees F.